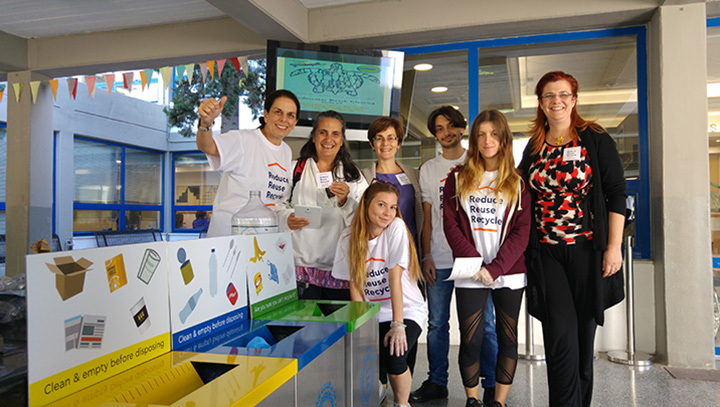 The American College of Greece | ACG launches Sustainable Events Guidelines! Home » News & Events » Sustainability » ACG launches Sustainable Events Guidelines! ACG launches Sustainable Events Guidelines! To enhance the College’s commitment towards sustainability and President Horner’s 2025 Vision, the Center of Excellence for Sustainability (CES) at the Office of Public Affairs, recently launched the Sustainable Events Guidelines in an effort to further support sustainable development across all of its divisions. The overall goal of these guidelines is to help reduce the environmental and financial cost of an ACG event, while maintaining quality and ensuring that the event caters to cultural and social diversities. The guidelines include key performance indicators (KPI’s) which are focusing on policy, materials and waste, catering, and energy. Through these guidelines, we are promoting a holistic approach to a Sustainable or ‘Green’ event right from the start! This means that we want the organizers to think ‘Social, Environmental, Economic’ – all three pillars of sustainability – instead of simply focusing on one or two. We are also urging organizers to take into account every aspect of an event, from energy, to water, waste, transport, procurement, choosing the most suitable and sustainable locale, and influencing the supply chain by incorporating sustainability clauses into contracts. In order to motivate organizers to participate, as well as, track their progress throughout the process, the CES – Office of Public Affairs will be awarding Sustainability Status Certificates that can be displayed on all promotional materials of the event, so participants know that they have attended a certified ‘Green event’!